Most small business owners and service professionals are doing way too many things that they could, and should, be delegating to someone else. Are you in this category? Often the excuse used is that there are not enough financial resources to justify the expense, or they feel it's just faster to complete the tasks themselves. Even if you have an assistant, chances are you are most likely massively under-utilizing them. Either way, you will greatly benefit from identifying tasks that someone else could do, which will free up your time to devote to business development and other tasks that you specifically must do. Usually you will find that when you invest in help of a bookkeeper, graphic artist, or (virtual) assistant, they can produce the intended result at an affordable rate, and even faster than you could do it yourself. This will allow you to do what you do best: bring in new business, keep your current clients happy, and create new work product. Or, you can "spend" the time to train your assistant to execute simple but necessary tasks, and the return on that time investment is well worth the additional time you will gain in the long run. Again, this allows you to focus on those aspects of your business that only you can do. You must evaluate your business development and marketing efforts to determine where you need to put your focus. The next logical step is to determine what you should not be doing, and who could be doing it. What am I doing that it would be better, faster and more cost-effective for someone else to do? What are 3 things you can delegate to others, or pay for others to do? What would be best for me to stop doing? In other words, what are the tasks that are simple enough to delegate, or are tasks are not in your wheel-house (such as bookkeeping, legal work, filing, faxing, copying, etc.)? This effective evaluation should reveal to you many tasks that can and should be delegated. No highly-skilled professional should send faxes, make copies and appointments, or run errands. They just shouldn't, and neither should you! Your time is better spent marketing, planning, meeting with potential clients, and executing sweet-spot, high-revenue generating activities. If you have an assistant, excellent! They are there to do one thing: assist you. I suggest to my executive coaching clients that they make a list of items that need to be completed. Schedule morning and late afternoon meetings to delegate and review those action items, and then check in at the next meeting for the status and next action steps. Don't have a team? You can hire a virtual or personal assistant, get an intern, or hire professional specialists to take those necessary but difficult and/or tedious tasks off your hands. These valuable assets are worth every dime, because they allow you to focus on your core competencies and provide more of your high-dollar services. This will give you a feeling of balance, which in turn lowers your stress level. Then, you're able to take on or do more of what you want. Delegating is critical to your future success. Start today by investing in yourself: use your time and money to set yourself up for that future success by engaging those individuals who can make your business success, and life, easier. 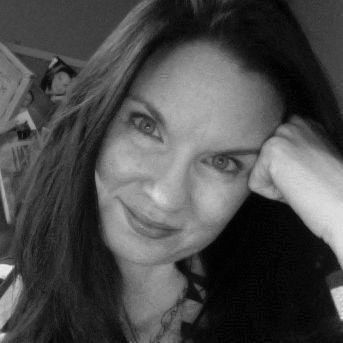 Honorée Corder is the best-selling author of eleven books. Check out her new book, Vision to Reality: How Short Term Massive Action Equals Long Term Maximum Results.